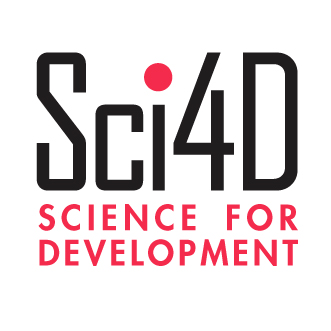 Science for Development (Sci4D) is a strategic service for international research and technology programs; and for national agencies in emerging economies. We work with you to extract know-how from your program results, synthesize it into useful products and services, and promote these innovations - for policy action, scaling-up, and investment. For international programs - Sci4D works with your program management and project teams to ensure your results are used by decision makers, investors, development agencies, and communities. our expertise helps you to transform your results and innovations into products and services ready for wider use. Better access to international funding. Capturing and translating your expertise into tools and products that decision makers and others can use. Crafting strategies and action plans for improved knowledge and information management, for the widest use of your results nationally and worldwide. Building your team's skills in research-policy synthesis, translation, and promotion. Strengthening knowledge sharing and learning in your business processes and project cycles. Improving the quality of funding proposals - with action plans that move research results into policy action and drive scaling-up. Effective information management - advice to enhance access to your results and data. Regional econimic development. Capturing and sharing practices between regions and countries. Food & nutrition security. Opening access to new high-performing food crop varieties (cold, heat and drought tolerant; disease resistant and higher-yielding). Improved public health. Practical information about medicines to cure neglected diseases in low-income countries; effective management of health systems and research. Job creation & small business. Ideas and examples for small business and enterprise development. Science for Development (Sci4D) is an international non-profit non-governmental organization incorporated under Belgian Law by Royal Decree. Science for Development (Sci4D) aisbl/ivzw.